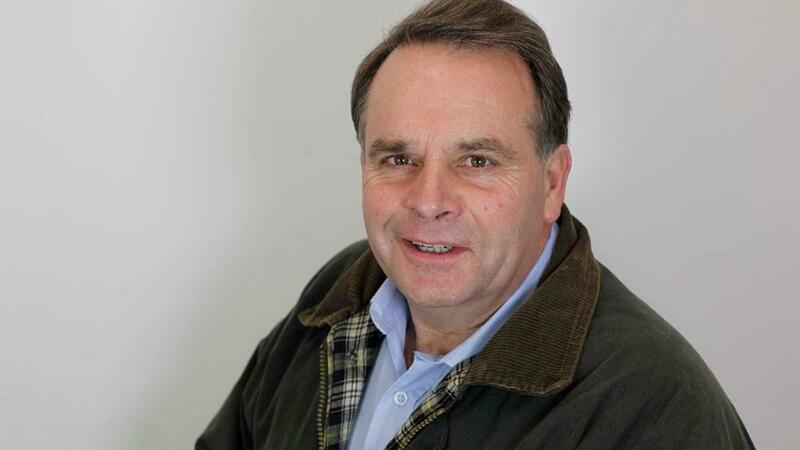 Neil Parish MP, chair of the Environment, Food and Rural Affairs Select Committee, explains why he believes recent foreign policy developments highlight the importance of domestic food production and security. The clock to Brexit is ticking down. Now is the time when crucial battles take place as the Government decides what our priorities should be as we leave the European Union. There are lots of powers which will return to the UK once we have left the EU, and I am fighting hard to make sure the Government recognises increased food security as a priority for the future. With Brexit looming ever closer, it is more important than ever to remind the Government of the role farmers will be playing in feeding the nation. Through my role as chair of the Environment, Food and Rural Affairs Select Committee, I have been fighting to make we have reliable access to affordable and high-quality food. The Government needs to recognise the work farmers do in growing and rearing food is a public good. What concerns me is the Government is not prioritising food security, and I am right to be concerned. The Agricultural Command Paper has demonstrated where the Government’s priorities lie. It is not with food security. The Command Paper’s focus is primarily on protecting the environment – the word ‘environment’ is mentioned 191 times. This is compared with ‘food’ which is only mentioned 65 times and ‘food security’ which is not mentioned at all. It is of course absolutely right that we work to enhance and protect our environment, but the Government should recognise environmental protections and food security are not mutually exclusive. It is just yet more evidence that the case for recognising the importance of food security still needs to be made. Food security and production in this country is an absolutely necessity. Recent foreign policy developments only work to highlight the importance of food production and security in the future. I emphasised the importance of the future of food to the Prime Minister when I questioned her on why food security is not included in the Agricultural Command Paper. The PM told me she felt food production was implied in the Command Paper, but it is not enough it is just implied. As we leave the EU, it is of the utmost importance that we are able to feed ourselves. The most important market will be cultivating and growing our own internal market to make sure we are more self-sufficient. It is my belief that through focusing on food security, it is also possible to achieve the Government’s aims of protecting the environment. Farmers are the champions of our countryside. They know that in order to get the best out of their land, they need to look after it. It is through their hard work in cultivating the land that they are able to provide us with good, high-quality food. Food security and protection of the land is a public good the Government should recognise. It is a demonstration that the Command Paper’s primary focus should not just be on the environment. Our exit from the EU provides so much opportunity for farmers and for the rural communities farmers support. But we can only capitalise on these opportunities if the PM and her Secretary of State for Defra recognise just how important the work that farmers do is. I will continue to fight to make sure farmers’ work is recognised as a public good. I have clearly set the table with what I want from the PM. It is time she sits down and responds.